In this past Friday's offerings in the 2015-2016 PBA Philippine Cup, Blackwater pushed Alaska to the brink but came up short, while the Batang Pier fried a big fish after defeating the Star Hotshots. Alaska remained unbeaten in the 2015-2016 Smart Bro PBA Philippine Cup, gutting out a hard fought 87-79 win against Blackwater on Friday at Mall of Asia Arena. In contrast to their easy victory over Talk N’ Text last week, the Aces had to find their footing in the payoff period to stave off a determined rally from the Elite. A scathing third quarter run turned the tide for the sluggish Alaska squad before Vic Manuel found his form late in the game and secured the Aces the victory. Chris Banchero led Alaska with 13 points while Manuel also had 13 markers, eight of which coming in the payoff period, alongside seven rebounds. 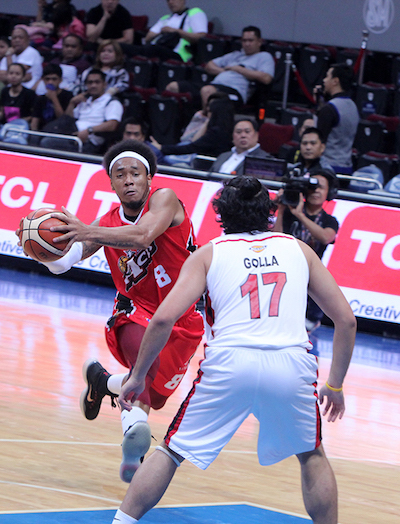 Calvin Abueva tries to drive straong against Frank Golla. Chris Banchero attacks the D of rookie Almond Vosotros. Tony dela Cruz finished with 11 points while JVee Casio got eight of his 10 points in that third quarter run to keep Alaska immaculate at 2-0. JP Erram’s 13 points and eight rebounds paced the Elite, who fell to their second defeat of the season despite overall improvements in their performance. Vic Manuel (ALA) - 13pts, 7rebs, 2blks, 6/11 FGs. 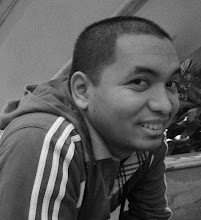 JP Erram (BLA) - 13pts, 9rebs, 2stls, 1blk, 5/11 FGs. 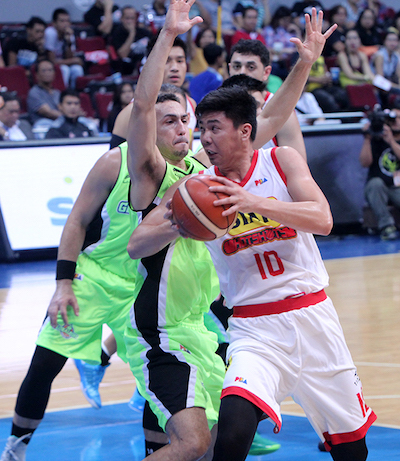 Globalport started strong consistently on all quarters and bucked the mightiest of Star rallies in hacking out a 101-94 win in the Smart Bro PBA Philippine Cup at Mall of Asia Arena in Pasay City Friday night. The Batang Pier came out strongest in the final canto, igniting a vicious 17-2 run to put the game away and score a first win ever over the Purefoods-SMC franchise in an all-Filipino tourney. 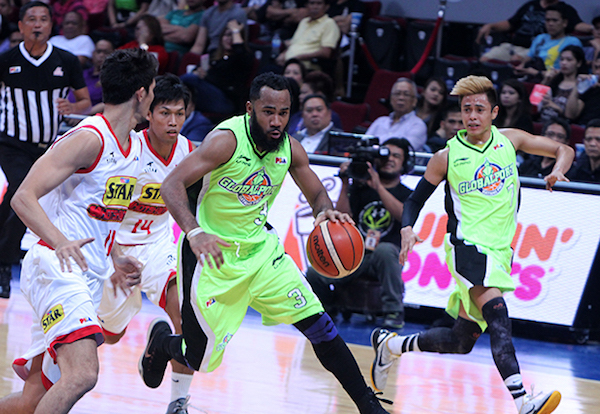 Stanley Pringle couldn't be stopped as GlobalPort frustrated Star. 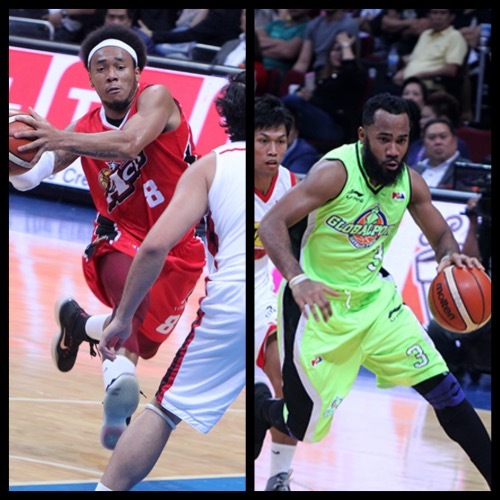 The Globalport dynamic backcourt duo of Stanley Pringle and Terrence Romeo led the way with 23 and 20 points, respectively. Ian Sangalang tries to curl around the defense of Rico Maierhoffer. 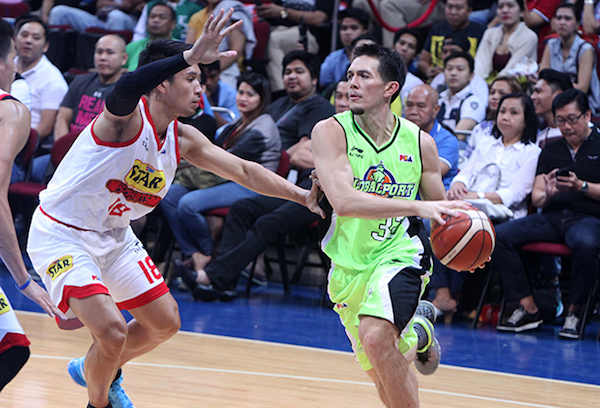 Keith Jensen gave GlobalPort a lift with his effort on both ends. Doug Kramer, Keith Jensen and Jay Washington also produced double-digit outputs for the Batang Pier who dealt the Hotshots a second loss in three starts under new coach Jason Webb. 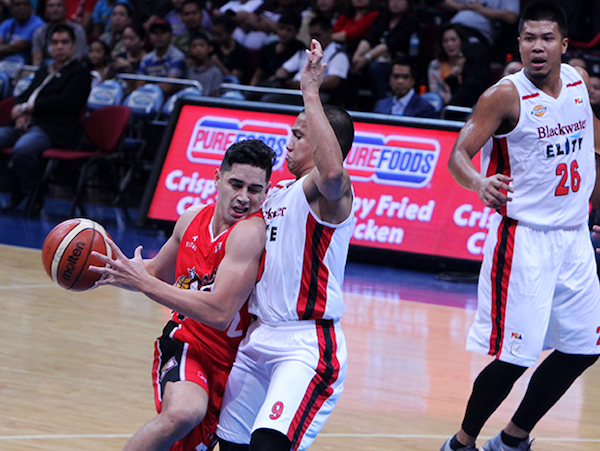 Six players scored in double-figures for Star, with Marc Pingris’s 14 leading the way. Stanley Pringle (GLO) - 23pts, 4rebs, 5asts, 1stl, 3 triples, 9/15 FGs. Mark Barroca (STA) - 13pts, 9rebs, 3asts, 2stls. All images are from the Inquirer/PBA.